Brook Alexander Fordyce was born on May 7, 1970 in New London, Connecticut. He attended high school in the town of Uncasville, Conn., which is now the location of the Mohegan Sun Hotel & Casino. The catcher was drafted in the third round of the 1989 draft by the New York Mets. 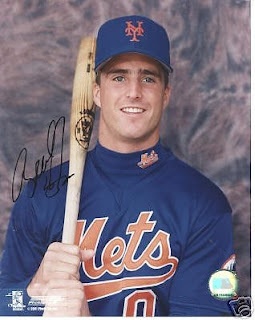 He spent six years in the Mets organization, before making the team out of Spring Training in 1995. He made his MLB debut as a pinch runner in Colorado on April 26th. 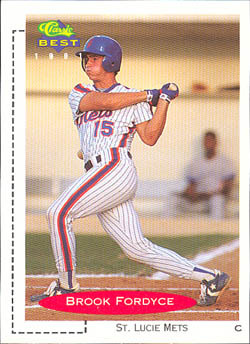 In his first MLB at bat he walked as pinch hitter and scored his only career Mets run that same day. He made two more pinch hit appearances getting his only Mets hit, which was a double, on May 12th against the Montreal Expos. 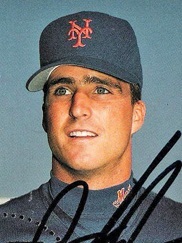 That season the Mets had Todd Hundley as their main catcher with Kelly Stinnett & Alberto Castillo as backups. Fordyce was placed on waivers two days later & got picked up by the Cleveland Indians. Fordyce was soon signed by the Cincinnati Reds, playing there for three seasons. With the Reds he played behind catchers Joe Oliver & Ed Taubensee under managers Ray Night & Jack McKeon. 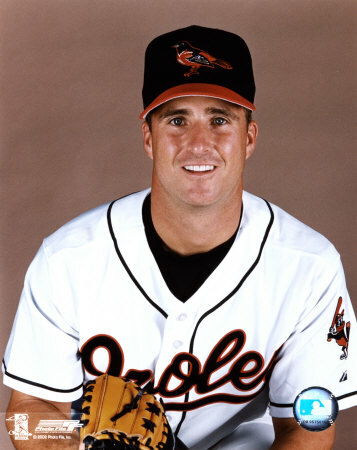 In 1999 he was traded to the Chicago White Sox for a minor leaguer, becoming the team’s main catcher that season. That year he hit .297 with 9 HRs 25 doubles & 49 RBIs in 105 games played. He made eight errors behind the plate & threw out 33% of would be base stealers. In 2000 after 40 games with the White Sox, he was batting .272 & got traded on July 31st to the Baltimore Orioles for Harold Baines & Charles Johnson. In Baltimore Fordyce would hit .322 with 9 HRs the rest of the season, finishing with career bests in batting average (.301) & HRs (14) for the season. He would spend four seasons in Baltimore, becoming a solid defensive catcher. In January of 2002 he collapsed after hitting his head in the bathroom of his Ft. Lauderdale home. An artery had burst & sent five pints of blood gushing into his stomach. He spent four days in intensive care & almost died from losing too much blood, while not having enough blood reach his head. He recovered well enough to return for 56 games later that season. In 2003 he was the Orioles main catcher hitting .273 with 6 HRs & 31 RBIs. That season he finished third in the A.L. with a .996 fielding %, he had also finished third in 2000 with a .990%. Retirement: Fordyce retired after the 2004 season, finishing a ten year career, batting .258 lifetime, with 467 hits 41 HRs 103 doubles & 188 RBIs in 623 games played. Behind the plate he played in 591 games posting a .988%. He currently owns and operates a baseball training center in Stuart, Florida.